Write direct response marketing material to inform, persuade and sell! 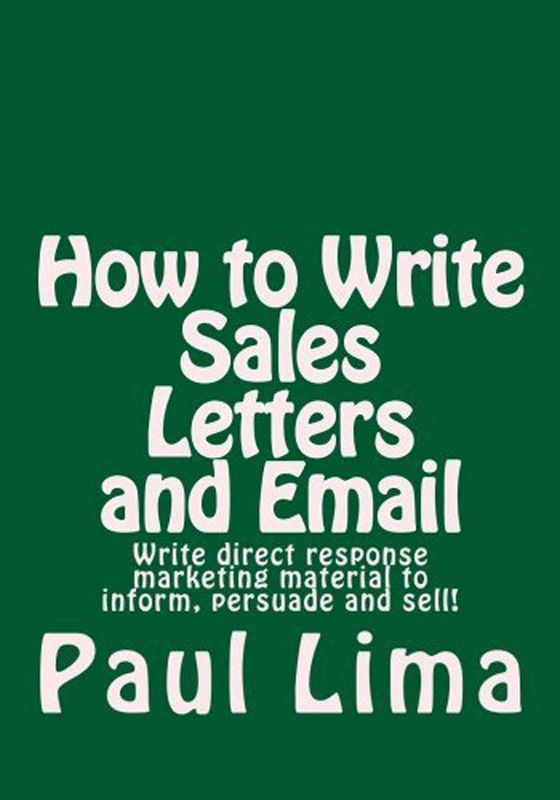 Welcome to How to Write Sales Letters and Email—a book for those who want to understand the magic behind using writing and direct response marketing to promote a company, product, service, event, cause, or other item/issue. If you want to master the craft of writing direct response marketing material that persuades, motivates, and sells, then this book is for you. It will guide you through the process of producing copy that works. You will discover how to write copy that captures the attention of readers, keeps them interested, influences their attitude and motivates them to take action. While the book primarily covers the communication and writing process and sales letters and promotional email, it also looks at direct response marketing brochures and website landing pages, the online pages that you would direct people to using sales letters, promotional email, online ads, and even print and broadcast ads. When it comes to sales and promotional writing, this book is meant to get you started, point you in the right direction, and help you avoid common mistakes many beginners (and some veterans) make. I hope to inspire you, to give you options to pursue, and to help you create a solid foundation upon which you can build. If you follow the hints, tips and techniques in this book, you will become a solid sales and promotion writer—whether you are writing copy for your own business or for clients, for a small or large business or a non-profit organization. If you want to write sales letters and promotional email, then this is is the place to start!